Is Now The Right Time For Solar? Solar panels, like most major advancements in technology, always come with a heavy dose of skepticism. Naysayers taken aback by the costs are quick to chalk it up to a passing fad or in the case of solar, “just another thing for the tree-huggers”. Solar has made significant strides in technology over the past few years and some new laws are going to make solar panels on homes in California a lot more common. This advancement in quality and a wider adoption should equate to a leveling off of costs so now is good time for homeowners to consider going solar. As part of my ongoing approach to homeowner advocacy, this month I dive deep into all of the pros and cons of solar. Let’s look into the costs and savings as well as who to consider buying a system from. Solar panels or Photovoltaic (PV) panels are most often placed on rooftops that get a steady stream of sunlight. When exposed to sun these panels generate electricity that can then be used to power the electrical needs of a home. Multiple panels are linked together to create an array that can meet the electrical consumption needs of the home. The number and type of panels a home will need varies on a wide range of factors. While there are many “solar system calculators online” your best bet is to have a professional solar energy, consultant come out and analyze your needs and what could be possible. Solar companies will send a consultant out and he will look at some key factors to determine what kind of system could benefit you. It starts with how much electricity you currently use. By reviewing the past twelve months of your utility bills, they can assess what kind of power you use on a monthly and annual basis. For example, the average Bungalow Heaven 3 Bedroom, 2 bath room 1,500 square foot home with four people living there will use 900 kilowatt hours of electricity per month but this could be higher in the summer when you are using the AC, or lower in winter when you are out of town more often. The goal of reviewing past bills is to establish an average as well as high usage months and lows. From here they can determine what a possible system could generate in terms of electricity throughout a typical year. 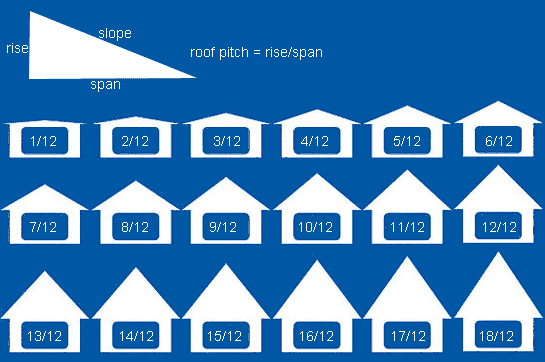 Factors like the latitude and longitude of a home, or the direction the faces of the roof point towards are key, but shade from trees, duration of sun and the pitch of your roofline should also be taken into account. Interestingly enough, homeowners living in Craftsman style homes which always feature a gentle 3/12 or 4/12 roof pitch will be more solar power efficient than a house with a steeper pitch like we see on Tudors or Victorians. Every home is different, and what works on your neighbor’s house may not work on yours and if you heard that only homes with southern exposure are capable of having solar, that is an old myth and not true. Have an energy consultant do an analysis of your home, the better consultants will produce an interactive 3D model of how the sun hits your roof. These solar consultations should always be free and you should have several done (more on this later). Homeowners residing in one of Pasadena amazing Landmark Districts are well aware of the restrictions they face when it comes to changing the front elevation of a home and many think because of this, solar is not permitted. If you are serious about solar and live in one of these districts, have a consultant 3D model your home and see if there is a place for panels that are not seen or less visible from the street. Take these plans to the city for approval. You may be surprised that the panels could be on a portion of the home not seen from the street. Even with our plethora of sunny days, the power generated by solar panels will vary on a month to month basis. With summer being peak season and winter generating a more moderate level of electricity, your consumption calculation will factor your needs on a monthly average. In the event of a needing more energy than your panels produce, you would supplement your needs by buying power from the utility company like you normally do. In the event that you generate more power than what you use and have a surplus of energy, there are two choices. One you can “sell” it back to the power company (referred to as Net Metering) or you can store that extra energy onsite in special storage batteries. These onsite storage batteries are growing in popularity as battery technology have advanced to a point of affordability and efficiency. When the power goes out, we all get a little antsy. More so if you work from home. While a standard solar system will not power outages because the inverter needs power itself, a solar system with the above mentioned back up battery will. Most impressive in the field of backup batteries is the Tesla Powerwall. While expensive ($7,000+), these systems have rebates and incentives that make it a feasible upgrade that ensures you will not be without power during the next blackout. As further proof that solar is significantly beneficial to home value, home efficiency and utility efficiency, California just became the first state to require all newly built homes have solar. This new requirement takes effect in two years (year 2020). California is the leader in solar states and having it as part of the new construction landscape could bring equipment costs down through demand and increased competition between brands and installers. In my opinion, a solar mandate only reinforces the legitimate benefits of a home solar system and when it comes time to when you eventually sell your home, having solar will be a major plus for the generations that are moving in. Residential solar electric systems are made up of several components outside of just the panels. Mounting racks, inverters, meters, breakers and controllers are all complex and precise components that make the system efficient and long lasting. Costs for systems are often see at a “per watt” pricing for comparison. One dollar per watt seems on the incredibly low end whereas $3.50 will be on the higher end of that pricing scale. With incentives, most California homeowners are spending in a range of $12,000 to $15,000 for a complete system that generates 6kilowatts. Most reputable solar installers will include the costs of installation labor as well as permit fees for an install. Maintenance, which is nominal, is something that can also be included so ask for it. Early solar systems were significantly more expensive than today so residential solar panels were “leased” to homeowners. As part of the lease a homeowner would sign up for a long-term Power Purchase Agreement (PPA). This contract would run for 20-25 years on average and require you to buy “discounted” power from the company you leased from. The savings on electricity was nominal and because there were no Federal tax credits to capture, the whole concept of solar energy generation became a watered-down version of what we see today. Buying panels has significant benefits over leasing. The power you generate is free and there are no long-term contracts to lock into. Today’s panels and system components require very little maintenance, have longer warranties and life spans and the ability to capture federal and local rebates and incentives can make the purchase less than you probably think. Purchasing a panel system will often include the installation costs as well as the costs for permits so make sure you ask for this. Having the solar installer process any possible rebates is also possible. Remember, time is money. Most installers, solar experts and homeowners agree that buying the panels is the smarter move these days. Residential solar is often financed and homeowners can compare their monthly financing bill to what they pay in utility bill. While this can be an interesting gauge of comparison, don’t make this the deciding factor. Overall system costs, financing charges and the fine print should all come into play when making a decision. Those interested in solar or energy efficiency upgrades may encounter installers offering financing through a Property Assessed Clean Energy loan program, known as PACE. PACE is a government authorized loan program that is largely administered and funded by private lenders. HERO is a brand of PACE loan from a company called Renovate America which is the largest lender in this segment. PACE or HERO loans are designed to help people finance energy efficiency home improvements but some aggressive contractors have been taking advantage of homeowners by overcharging by tens of thousands of dollars and being deceptive on monthly payments. The result is a homeowner with large monthly bills, that if unpaid, could cost them their house. Do you due diligence when financing large renovation projects. If a contractor is trying to rush you through paperwork or push you for signatures, walk away. Whole house batteries can make you energy independent in the event of blackouts. Possible Federal tax write-offs and possible local incentives. Ask your installer. Equipment will eventually age, average lifespan of a solar panel is 25-30 years. Note: Other solar components like the power inverter may have a shorter life of 8-15 years. Just like any home improvement, shopping around to compare benefits and prices will always garner the best results and solar is no different. In fact, the US Department of Energy’s National Renewable Energy Laboratory recommends that consumers compare as many solar options as possible to avoid the possibility of inflated prices offered by some of the larger installers in the solar industry. A recent FastCompany article found that systems from local installers were often less than those of national brands. Bottom line: Shop around from known national brands like Vivint and Tesla Energy (formerly Solar City) as well as local installers from Southern California. Sunrun and Sungevity also rank high in installed megawatts but do not let their install data be independently validated. Website EnergySage.com is a great initial resource to get pricing quotes. The website has a feature where a homeowner can enter their info once and automatic quote requests are sent to their vetted list of 500 installers. These installers have been cleared to offer transparent prices and have been in business for at least three years. A quote request will generate four to seven independent quotes. The site also has full details on rankings of local installers and the national brands. Want Solar But Need a New Roof? Homeowners looking into solar will need to consider the condition of their roof. A good solar installer will inspect your roof to ensure it has at least five years of “life” remaining. 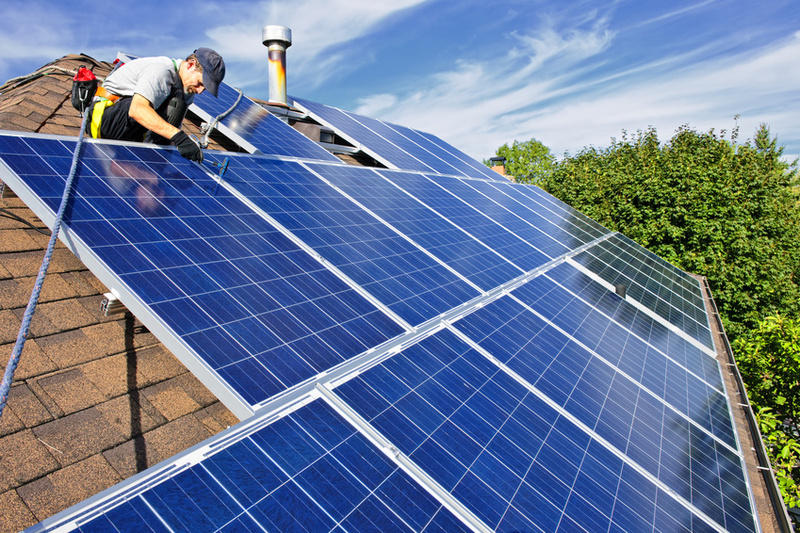 If it is in need of being redone, a solar installer will require you to complete this first. One thing that became of great interest as I researched this story is that Tesla Energy, a clear leader in solar, is very much aware of the roof-condition factor and how it relates to homeowners making a solar purchase. With this in mind, they have built out a complete in-house division of professional roofers. These roofers are full-time Tesla employees that are trained to a higher level of standard. Even more interesting is the fact that Tesla roof jobs are generally cheaper than that of the average roofer, sometimes as much as 50% less than competitive roofing quotes. Because they know there is profit to be made in the solar system, they can make less profit in the roof job itself. If you are considering solar but need your roof surface replaced, I highly recommend you include a quote from Tesla in your research. The Tesla rep I spent time with assured me that it is the best deal in town. I am far from a solar expert, but I hope this article helps. My goal as a local Realtor is to be an advocate for homeowners and share the many conversations I have about the benefits and challenges of homeownership in and around Pasadena. If you have any questions regarding this article, feel free to drop me a line, I am glad to answer any questions I may or connect you with people smarter than me.